KUKA UK has announced the appointment of Mike Wilson, as Managing Director. Mike brings a wealth of knowledge and experience to KUKA within the field of robotics and automation, having held several high profile roles within the automation arena. 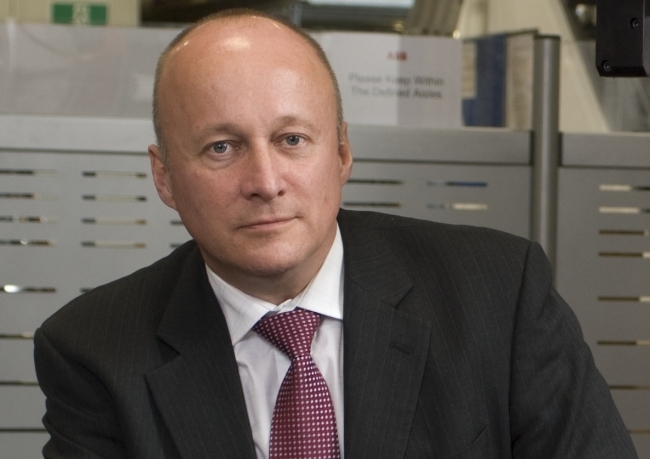 Most notably that as Chairman of BARA (British Robotics and Automation Association). There isn’t much that Mike doesn’t know about robotics and automation – an admirable portfolio of achievements throughout his career include; being recognised as a manufacturing champion in the elite Manufacturers Top 100 in 2018; a published author of Implementation of Robot Systems, which has since been translated into Chinese, a cameo appearance on Tomorrow’s World Live in 2018 and an appearance on BBC News, commenting as BARA Chairman on Theresa May’s pledge to invest £2bn a year in an effort to boost the technology industry and improve UK’s competitiveness in the global arena. Mike is widely recognised as one of the leading authorities on the application of industrial robot systems in the UK. Of his appointment, Mike said: “I am very happy to be joining KUKA and looking forward to the opportunity to develop the UK and Irish business further, as we continue as a successful, profitable business, a great place to work and a trusted supplier. My ambition is for KUKA to be recognised as the leading robot company in the UK”. Mike is passionate about robotics and the need for UK manufacturing to apply more robots. “Automation and robotics has proven its ability to support manufacturers across a wide range of industries transform their operational performance. Increasing productivity, improving efficiencies and better equipping them to react to changing market trends. 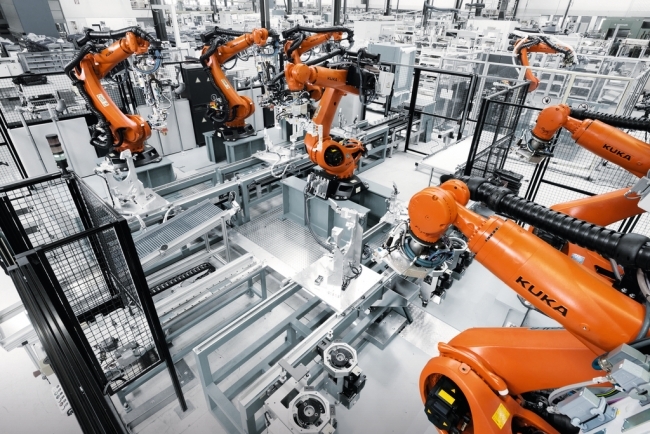 Together with KUKA and their network of system partners and integrators, we want to help manufacturers transform their business output utilising KUKA robots and autonomous systems”. Away from work, Mike is a family man, married with three daughters, although does confess to none (yet) following in his engineering footsteps. He does also confess to having another passion, other than robotics, by way of Manchester United Football Club. Born and bred in Lancashire, Mike has been a fan for 50 years! Mike likes to stay active and cycles, admittedly not as much as he would like, in addition to running now and again. He also likes to combine his enjoyment of staying active with travelling with his wife and family. Chief Regional Officer – KUKA Europe, Middle East, Latin America & India, Robotics Division, Jeff Nowill added: “Mike Wilson has over 35 years’ experience in automation and comes with a successful background in Strategic Management, Sales, Marketing, Engineering and Project Management. Mike brings with him extensive experience in the automotive sector and has an abundance of knowledge of the markets in which we operate, and we are confident that Mike will continue to drive our successful organisation forward”.